Posted on March 24, 2017 by Michelle M.
And the boys are all a-twitter. Alfie and Harvey – let us in! Ozzie and Felix would like some female companionship. 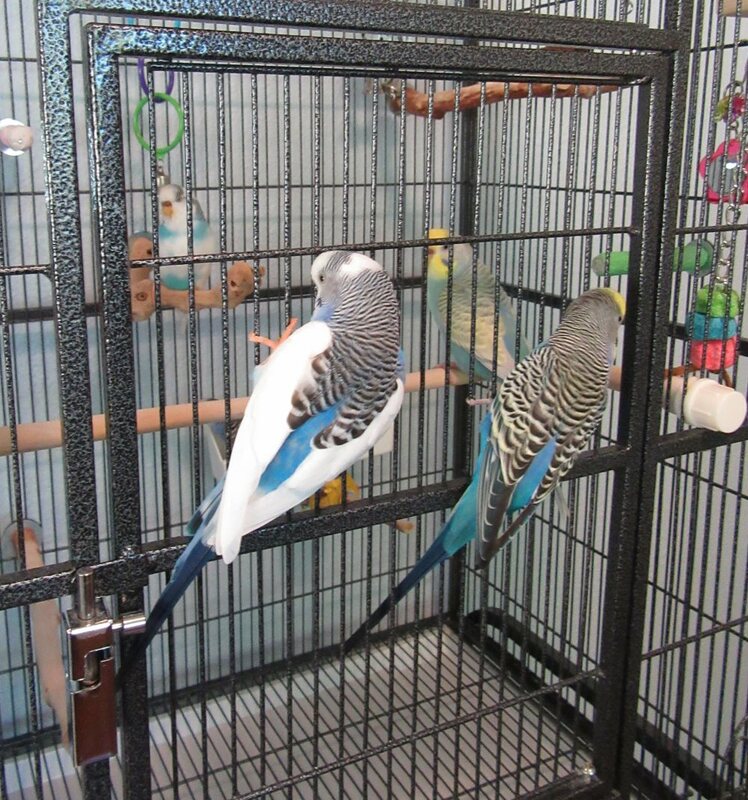 We keep the divider in to keep the boys from the girls (we don’t want any more egg drama), but we do let them all out together – with supervision. 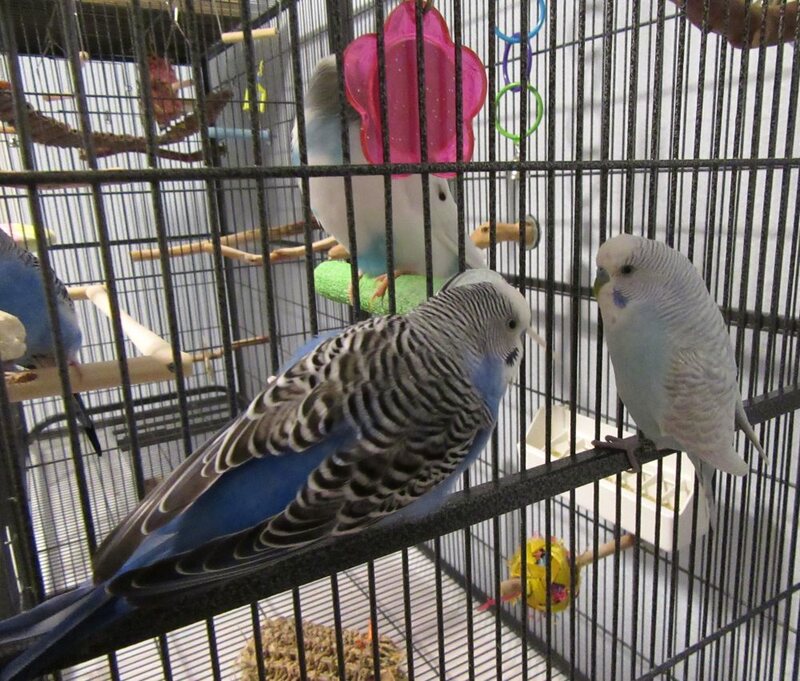 Ozzy and Sunny are also a couple, but Sunny has recently allowed Harvey to woo her – Ozzie is not sure what to make of this new development. Harvey is also Cooper’s beau… And Cooper and Felix are sometimes an item. Such a soap opera! And the cheese stands alone. Alfie is single and ready to mingle if there are any takers out there. He is a great catch! 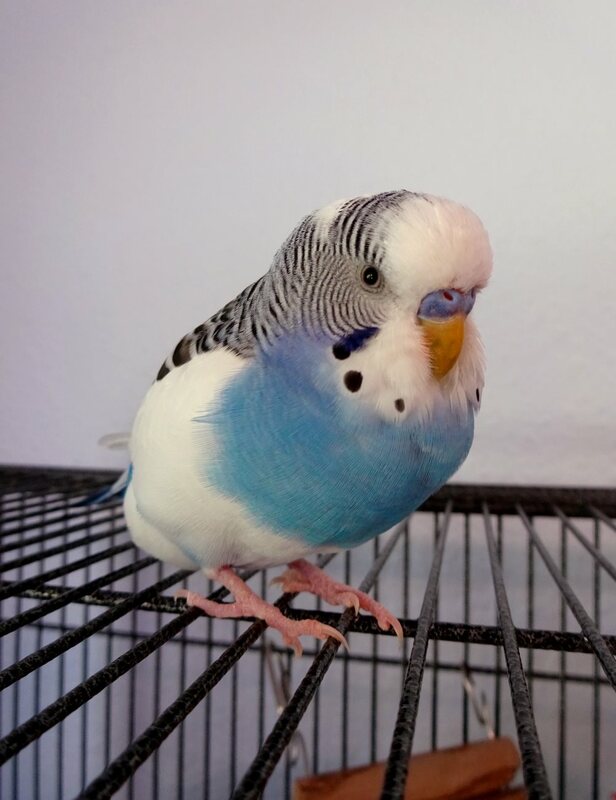 This entry was posted in The flock and tagged budgie, Cooper, parakeet, the flock by Michelle M.. Bookmark the permalink. Would Alfie consider a little interspecies love? He’s just my type. Alfie’s photo is very sweet. I want to put him in my pocket.